Simply put, our bale handlers are the toughest, longest lasting units available. Their unique, opposing spring steel teeth work like a claw — with plenty of strength to dig deep into your tightest bales while easily gripping even your softest hay. The sealed ball bearing tooth shaft pivots and an all-steel tubing frame makes the entire unit virtually indestructible. Each model quickly and easily mounts to a variety of loaders, and requires only one hydraulic remote to operate the teeth. Our big bale handlers feature solid hook bars, big bale teeth, and sealed bearings in every rail, making them more than a match for your 3x3, 3x4 or 4x4 big bales. Our 8410 handler features: four solid tooth bars with a total of 8 big bale teeth, 8 ball bearings, and is designed to grab a single 3x3, 3x4 or 4x4 big bale. 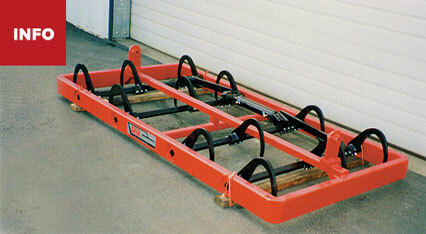 This unit can be mounted sideways or endways. Our 8520 handler features: four solid tooth bars with a total of 16 big bale teeth, designed to grab three 3x3, two 3x4 or two 4x4 big bales. 12 sealed bearings in three rails make this model particularly rugged. This vertically mounted version of the standard Model 8520 is specifically designed to handle up to 3 bales tall from their sides. Using both the standard 20 teeth, and the addition of 5 bale spears, this becomes the ultimate unit for moving big square bales. This is also the premier unit available for loading and unloading vans and ocean containers of big bales. The 3V is one of our most popular models. 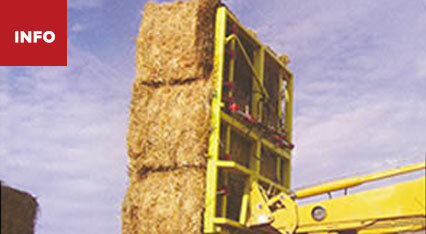 It allows you to unload big bales from the side of a truck or stack. The smooth spears come in a variety of lengths (24, 40, and 54") to accommodate different sizes of bales. 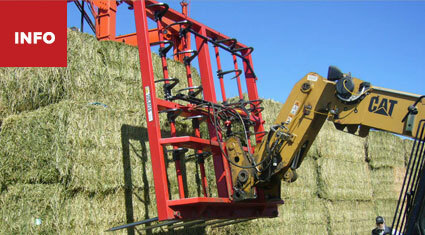 This reliable handler makes it easy to handle your big bales. 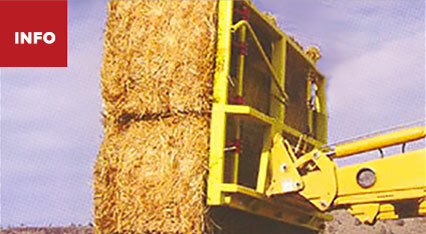 We designed this top-of-the-line big bale handler with high-volume hay producers in mind. The 3VHD has a heavily reinforced frame, four tooth shafts twenty big balel teeth. The smooth spears come in a variety of lengths (24, 40, and 54") to accommodate different sizes of bales. 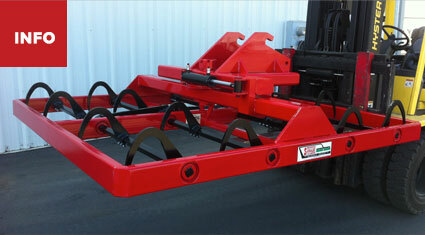 This unit provides the ultimate in durability and control. Thank you for visiting our website. We would be glad to speak with you, and help you get the information you want. Feel free to call our office any time. 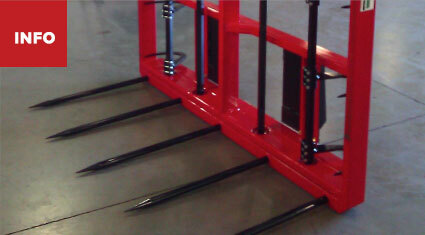 Visit the Steffen Systems YouTube Channel to see our products in action. For pricing information or if you have general questions, visit our price quote page. To find a dealer near you click here. © 2014 Steffen Systems | All rights reserved.